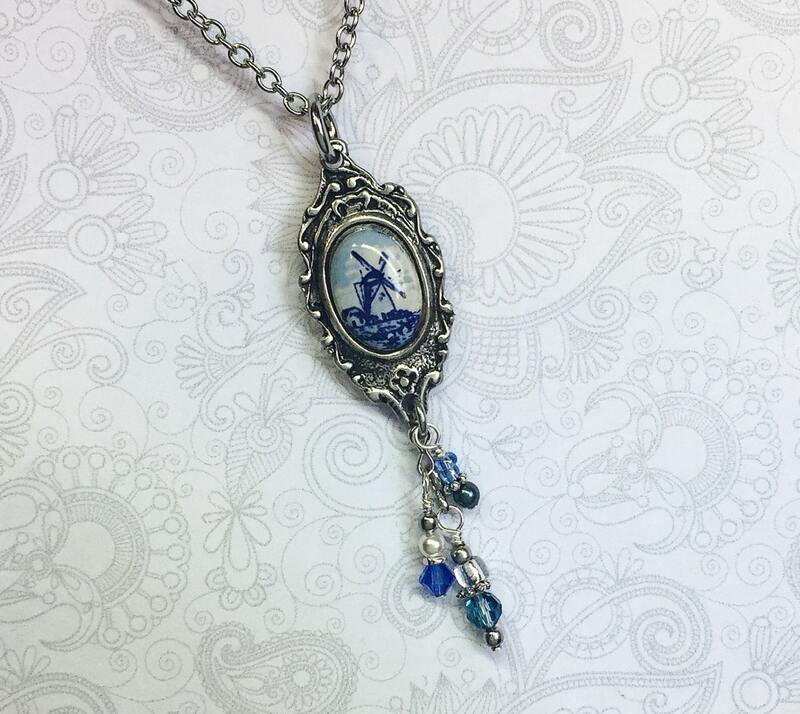 This blue delft spoon necklace was created from the handle of a small, vintage silverplate demitasse spoon from Holland. It features a blue pottery windmill nestled in a very ornate setting. I cut and drilled it at both ends and added a crystal & pearl assembly in blues and white. They dangle freely from the bottom and flash in the light. 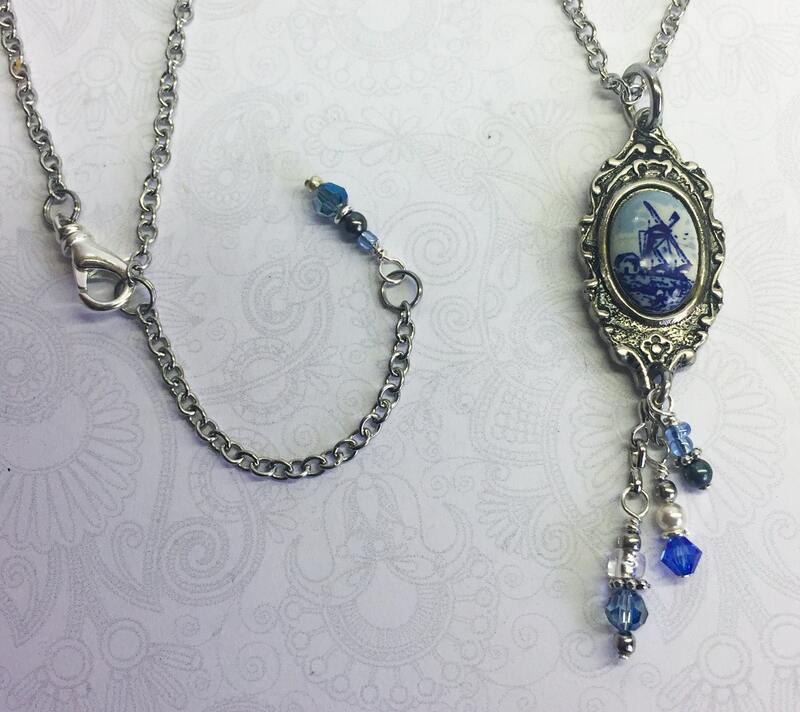 The spoon handle pendant, including the crystal assembly measure 2 1/4". 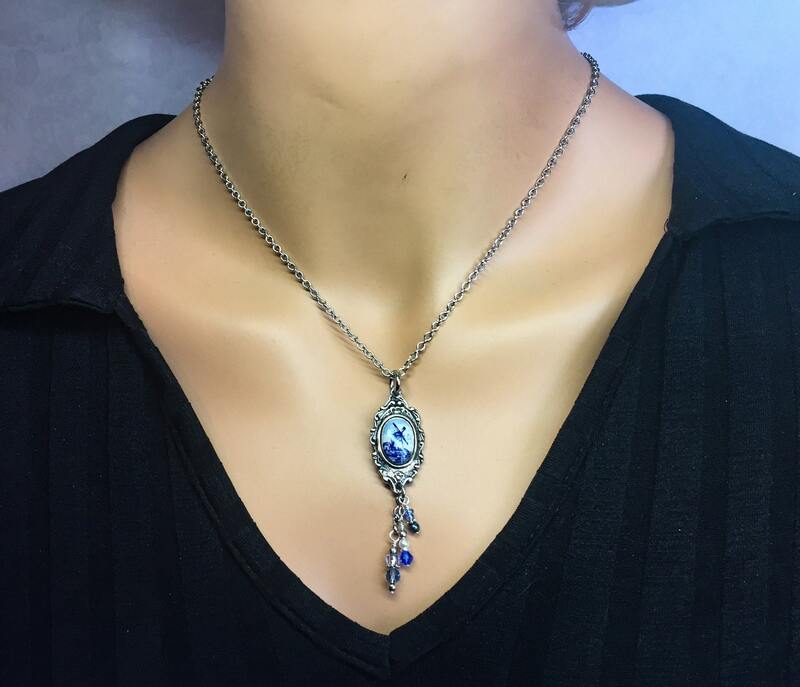 This light, colorful piece of silverware jewelry is suspended from an 18' antiqued steel chain with soldered links and a 2" extender & lobster clasp closure. The end is finished off with more crystals. 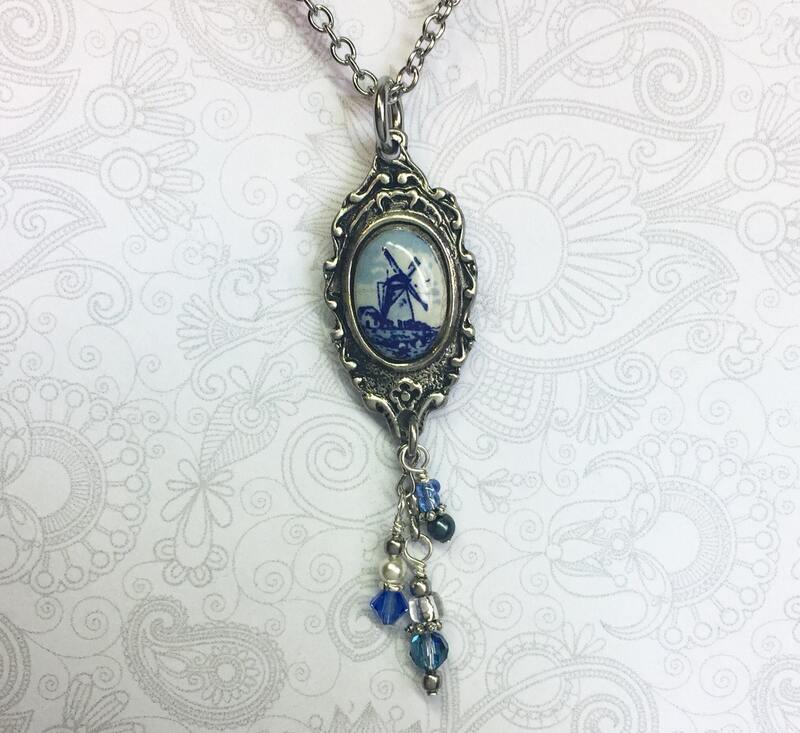 Your spoon necklace will arrive in a presentation gift box; along with a Spoonfest Jewelry story card -- all ready to give as a gift, or to keep for yourself! Very original necklace. Nicely packaged. Knowledgeable seller. I ordered 4 things and LOVED all of them! 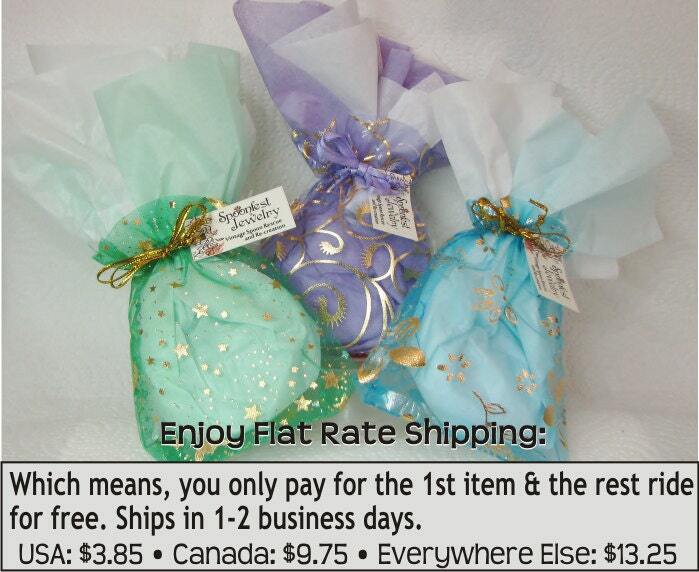 Great quality and duper fast shipping. Have already recommended splinters jewelry to others! Love it! Excellent quality, communication and customer service, I will be doing business again! Thanks so much, jewelry is gorgeous. Pleasure to do business again.